Food poisoning is a common, yet distressing and sometimes life-threatening problem for thousands of people. People infected with food borne organisms may be symptom-free or may have symptoms ranging from mild intestinal discomfort to severe dehydration and nausea. Depending on the type of infection, people can even die as a result of food poisoning. Campylobacter is a bacterium that causes acute diarrhoea. Transmission usually occurs through ingestion of contaminated food, water, or unpasteurised milk or through contact with infected infants, pets or wild animals. It can be, especially in those with weakened immune systems. In rare cases, the campylobacter infection can cause additional problems such as arthritis or brain and nerve problems. Occasionally, these problems occur after the diarrhoea has stopped. How is the Campylobacter Infection Diagnosed and Treated? If you think you may have been exposed to the infection, see your doctor immediately. If you are found to have the infection, you will likely recover on your own without treatment within 2-5 days. Drink plenty of fluids to prevent becoming dehydrated. In more severe cases, antibiotics if given early in the illness, can be used to shorten the length of time you are sick. Salmonella is a bacterial infection that can be passed on to humans from domestic and wild animals, including poultry, pigs, cattle, and pets. But most often, it is caused by drinking unpasteurised milk or by eating undercooked poultry and poultry products such as eggs. Any food prepared on surfaces contaminated by raw chicken or turkey can also become tainted with salmonella. Less often, the illness may stem from food contaminated by a food worker. Salmonella can escape from the intestine into the blood and travel to other organs. It may become a chronic infection in some people, who can be symptom-free yet capable of spreading the disease to others. Although most people recover completely (which sometimes can take several months), salmonella infection may cause a condition known as Reiter’s syndrome in a small percentage of people. Symptoms of Reiter’s syndrome include joint pain, eye irritation and pain when urinating. The joint pain of Reiter’s syndrome may develop into a chronic arthritis. Salmonella infections usually go away in 5-7 days and often do not require treatment unless you become severely dehydrated or the infection spreads outside the intestines. If treatment is needed, antibiotics are prescribed. Avoid eating raw or undercooked meat or poultry products, including eggs. It is also important to avoid “cross-contamination” which can occur if food is being prepared using the same utensils, or on the same surfaces as those used for raw or undercooked meats or poultry products. Wash your hands with soap after handling reptiles, birds or after contact with pet faeces. Avoid contact between reptiles (turtles, iguanas, other lizards, and snakes) and infants or people with weakened immune systems. Huge amounts of food poisoning cases are not reported because people do not connect their symptoms with having eaten bad food. We can stop contamination in the home by ensuring that raw meats are not allowed to come into contact with cooked foods, by washing hands before and after food preparation and before eating. Ensure work surfaces are disinfected on a frequent basis, particularly where there may have been contact with raw meats. If you think you have contracted food poisoning from a restaurant or a similar establishment, report this to the local authority in order that they can arrange for an Environmental Health Officer to visit the premises to see if there are underlying issues that are causing the problem. • Explain the concept of food contamination. 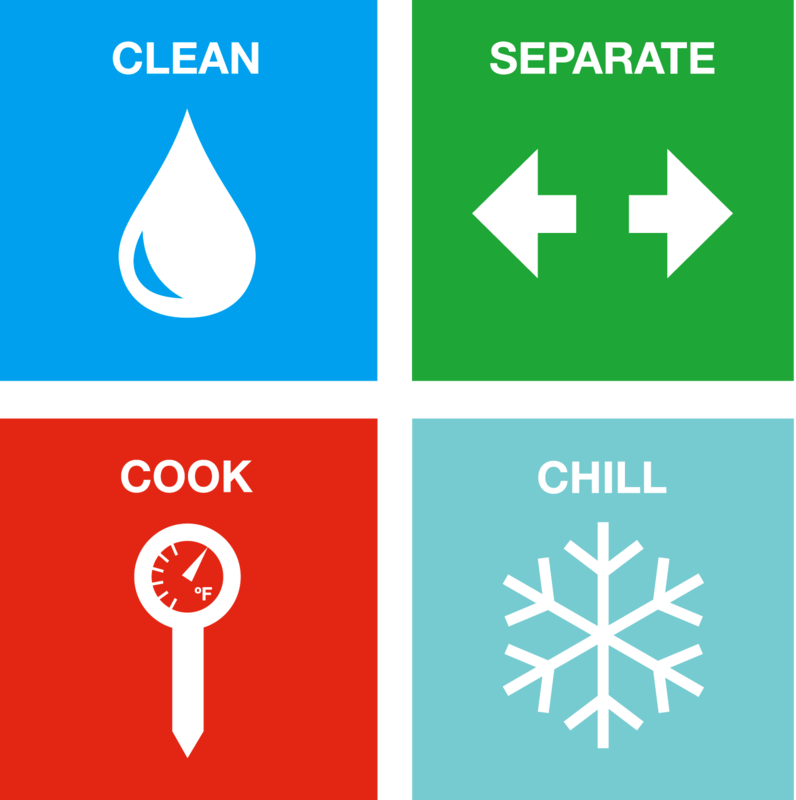 • State the main causes and methods for preventing food poisoning. 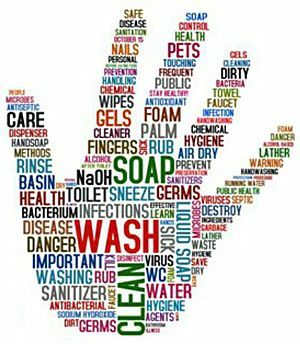 • Describe good hygiene practices. • List the best practices for handling food.